Exemplary advertising always leads the consumer on a journey. Often times that journey leads to the decision to buy a product. In 2014, some of the best ads created journeys to affect attitudes and beliefs about brands and causes. Their messages didn’t just aim for our heads, they also aimed for our hearts. I’ve compiled a short list of six video advertisements that represent some of the most strategic brand messaging of 2014. There are other lists of the most viewed, most shared, and most popular, this is simply a compilation of transformational messaging that used narrative storytelling to achieve a specific brand objective. The ad shows how technology can’t replace love, but it can uniquely connect people in moments of love. The desired action DATC wants consumers to make is to use their phones and network to never miss a loving moment. Chevrolet’s Silverado pickup truck this year made an equally brave and powerful ad. It leveraged its considerable brand equity to make a statement about cancer–without speaking a word. The silent schema of a solemn ride down a country road forces the viewer to think deeply about what is, and what is not happening. The three most powerful cues: the shaved head, the teary eye, and the embraced hands. Together they force the viewer to create their own story, form a new attitude and create the belief that they can take action by supporting the American Cancer Society. The underlying message is not about the truck, but the journey of strength the truck allows one to take. SaveTheChildren had a daunting task in 2014. It had to find a way to make the world care about a war that western leaders want no part of. In this case, they constructed a narrative that could be about the day in the life of any child in any country. But this not any country, it’s Syria. Its powerful schema leads the viewer on a second-by-second journey of conversion from comfort to conflict. It uses Appraisal Theory to force one to see the child as if it were their own daughter. The goal of the ad is to elicit an emotional response that confronts our own beliefs and attitudes about the Syrian War. John Lewis is a British department store that has become as well known for its holiday commercials as Macy’s has for its Thanksgiving Day parade. Once again, John Lewis did not disappoint. 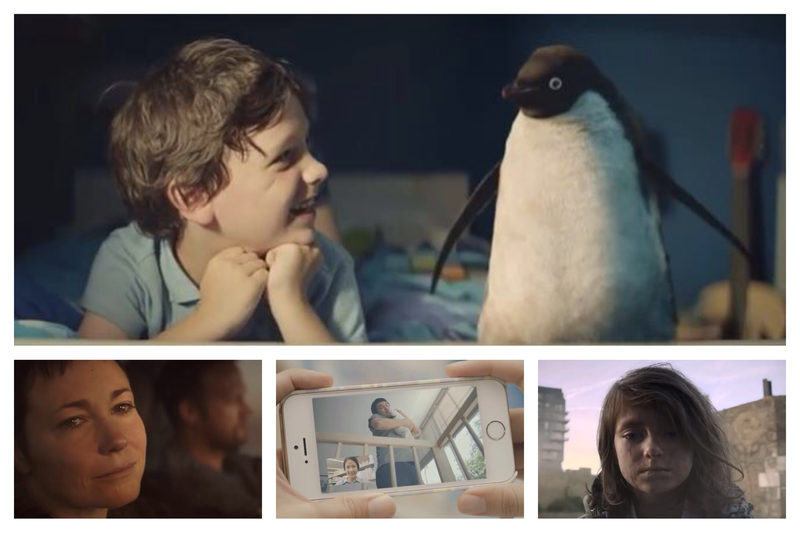 The brilliance of this year’s ad uses a little boy’s imaginary penguin named Monty to become the human metaphor of love and sharing. Think Calvin & Hobbs. The result is a touching narrative about the power of imagination in giving–and the department store that can make it happen. The World Cup soccer games produced the year’s most viral advertisements, but the one that I will argue created the most power came from the Bank of Chile. Chile’s soccer team was placed in the same World Cup division as top-seeded teams Netherlands and Spain. Soccer fans called it the “death group” because no other teams survived. In this case, no men were better suited carry the Chilean flag than the trapped Chilean miners who stared down death and won. The salient message from the Bank of Chile is that it is the bank which can build impossible dreams. Finally, the 2014 Winter Olympics crowned a new series of world-class athletes, but the BBC created gold of its own for a cognitively powerful advertisement promoting its broadcast coverage of the games. Both the BBC and the American network NBC used a means-end model in how they promoted their Olympics coverage. 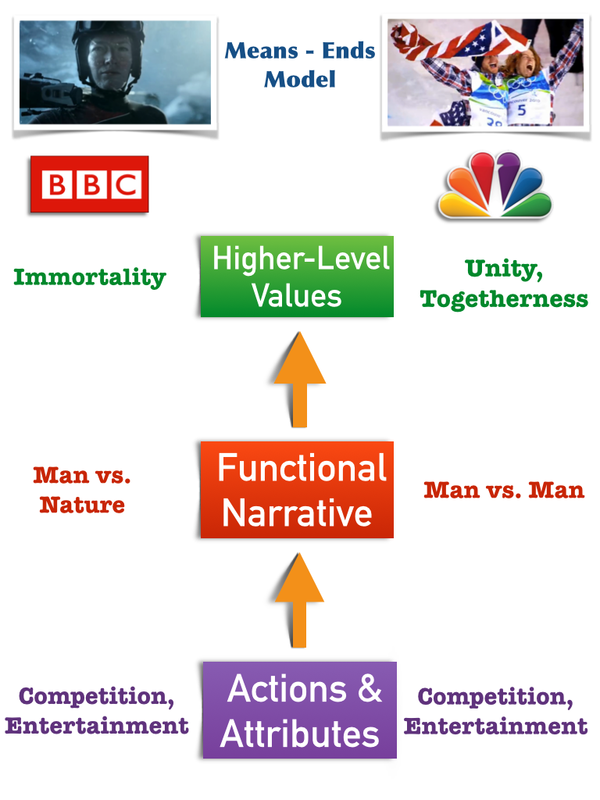 (Figure 1) NBC appealed to humanity where the BBC used mythology. Its man vs. nature promotional approach set up its coverage to beckon the viewer to witness immortality in the making–becoming one with the Gods. That’s powerful. We’ve come a long way from the great recession when risk averse consumer messaging was all about boosting immediate sales. In the past two years brands once again feel free to think strategically about positioning themselves along the consumer’s emotional curve to create relationships and sharable moments to last beyond the next quarterly report. The result is advertising that’s not just gutsy, but smart, and yes, fun!